If you are looking for 100% organic Fresh Red Chili, we are the best destination. The company is a reputed Supplier and Exporter of Fresh Red Chili from Thailand. The Fresh Red Chili offered by us is grown in organic farms using advanced horticulture techniques. 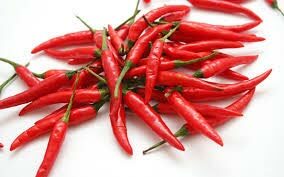 To cater the diverse requirements of buyers, we offer the Red Chili in variegated packaging options. Buyers can obtain the Red Chili at competitive rates.